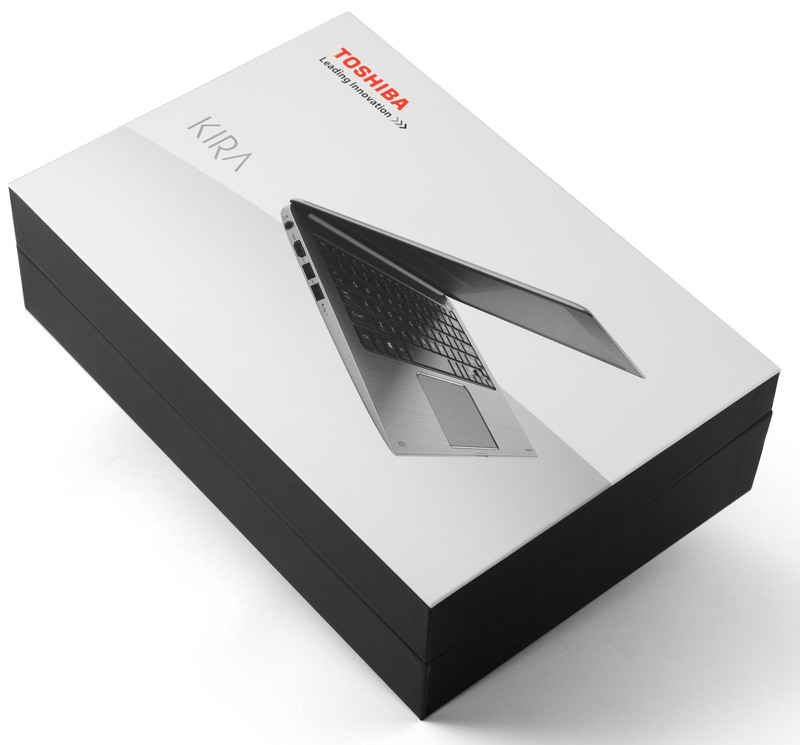 Japanese precision and good quality are what we expect from a high-end Toshiba notebook, especially when talking about the flagship of the ultrabook lineup from the company’s portfolio. But that’s not the only thing we liked about the notebook. And maybe this time Toshiba will earn its place on the premium market segment. 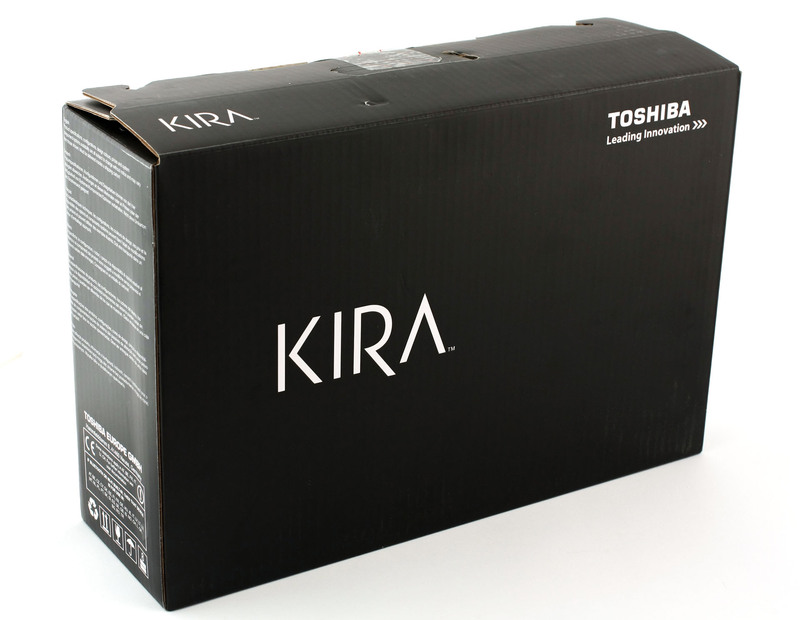 As usual, this year’s KIRA is packing inside the latest hardware Intel has to offer and a good display with IGZO technology, but more on that later. The 13.3-incher surprised us mostly with a thin and light design despite its rigid casing. Sadly, though, things are not as perfect as they seem from our first few sentences. We’ve got some insight on the cooling system that might not appeal to some as well as user-friendly drawbacks, but this is somehow understandable given the price range and the features it has to offer Toshiba’s flagship ultrabook. 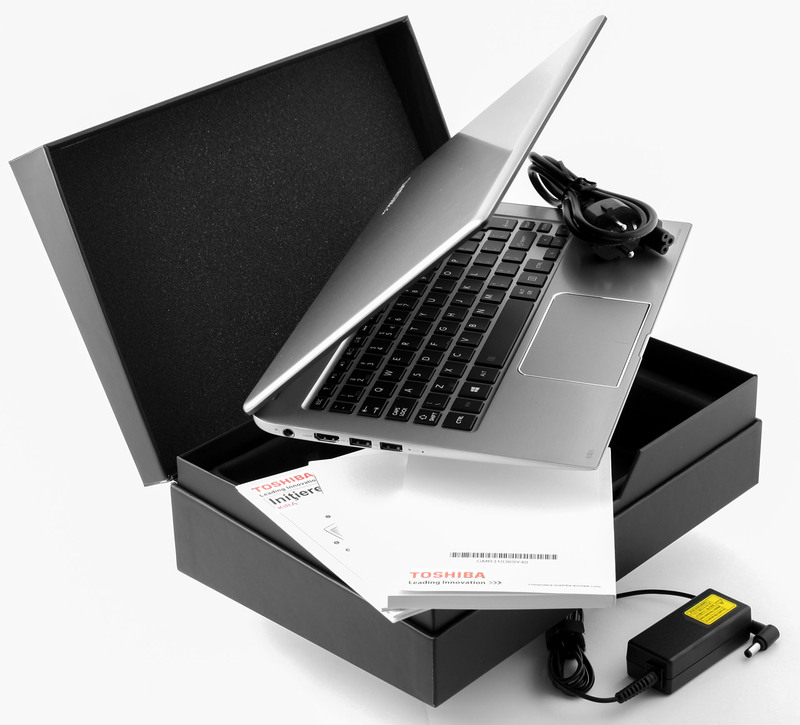 The small box containing the ultrabook packs inside the device itself, several user manuals, DVD with drivers and the usual AC charger and cable. We must say that we are very pleased with the notebook’s design as it offers stability, strict and minimalistic design signature, it’s fairly light, thin, and costs are kept mostly to the minimum. The outer chassis is entirely made of plastic while the inner frame features pressed magnesium alloy for extra durability without sacrificing the weight of the device. It’s in the shape of honeycomb as the company believes it makes the body sturdier and quite frankly, we like what we see. 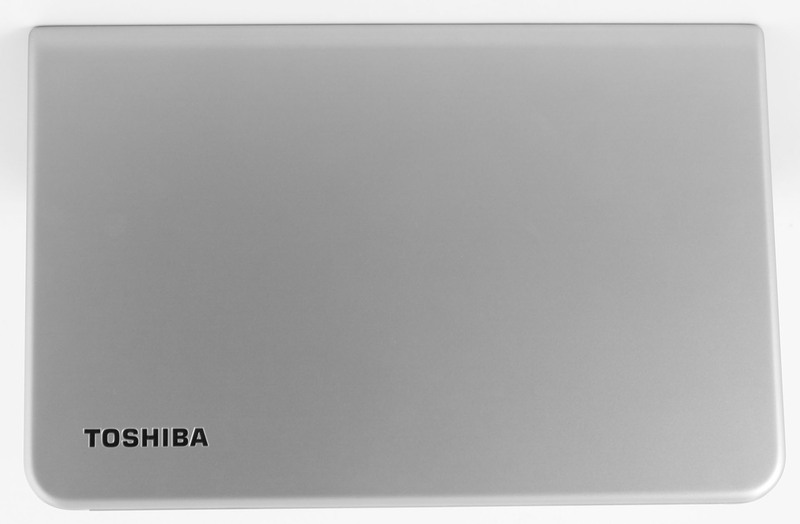 Starting with the lid of the device that looks like brushed aluminum, but it’s actually polycarbonate, following Toshiba Satellite’s design signature with two oval edges and two front-facing sharp ends. It doesn’t bend as much as you’d expect so it will be safe for traveling around. The other side of the lid accommodates the 13.3-inch screen which to our surprise features quite thin bezels measuring 1.1 cm on the sides and 1.7 cm at the top and bottom. This is something you don’t see from a Toshiba notebook as most of their models have even distractingly big bezels. Touching the bottom piece of the KIRA will again make you think this is aluminum, but it’s actually plastic on the surface. It’s easily detachable when some unscrewing has been done. You can easily see the main heat dispersing grill along with the one placed right between the hinge and the main piece. Moving around the sides that measure at 0.7″ (17.78 cm) being the thickest point and getting narrower at the front end of the device. 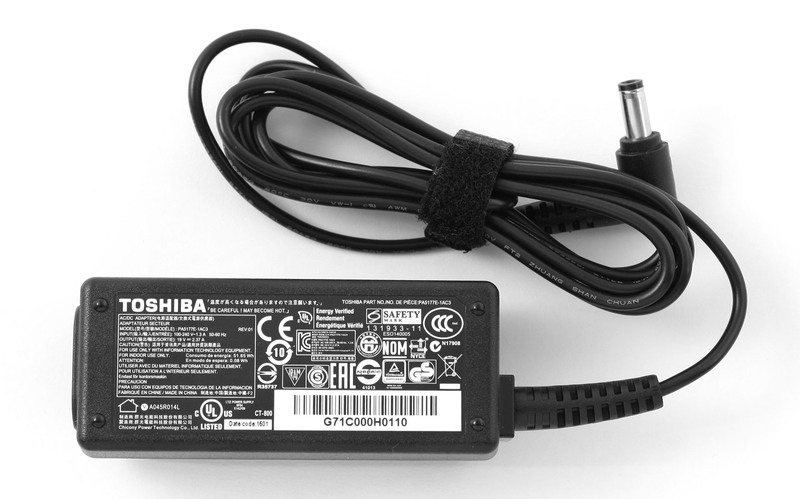 The left side contains the surprisingly big DC port (at least for an ultrabook it is, but this improves the stability of the connection and ensures longer exploitation without problems), the HDMI port and two USB 3.0. On the right are placed the rest – another USB 3.0 port, one 3.5 mm jack for headphones and one SD card reader. Before we start with the interior it’s hard not to mention that’s really difficult to “get inside”. No, seriously, you’ll need to apply a lot of force to open it, because the hinge is really tight, so both hands are needed here. However, this eliminates the annoying wobbling effect when working with the touchscreen. The inside carries the same design theme as the lid – brushed aluminum-like polycarbonate around the keyboard and the keys being completely black with (same as the Toshiba Satellite series notebooks) LED backlight. So, about that keyboard. 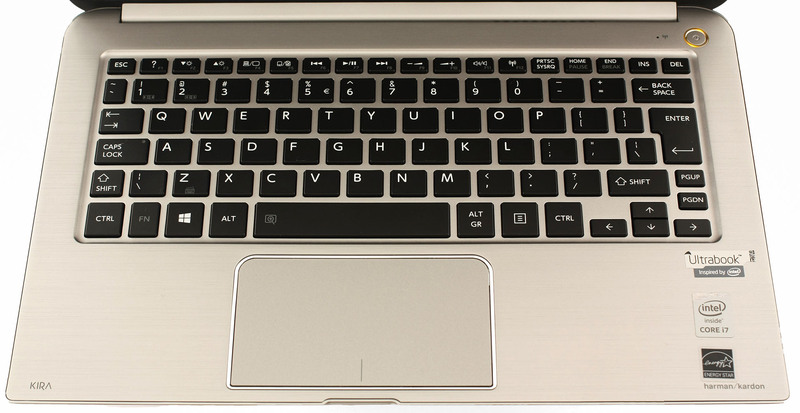 We are happy that Toshiba has included the dedicated “F” buttons as well as providing relatively big and comfortable keys for typing. Maybe a little short-traveled, but the much-needed tactile feedback is at hand. No complaints there. 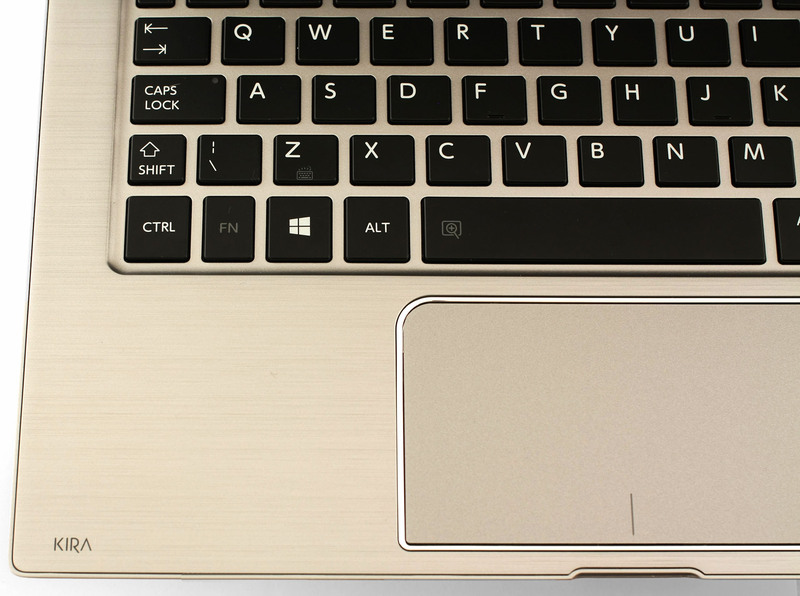 The touchpad is also of high quality without any annoying wobbling effect, it’s precise and responsive. Nothing out of the ordinary – we are happy with the interior of the machine. 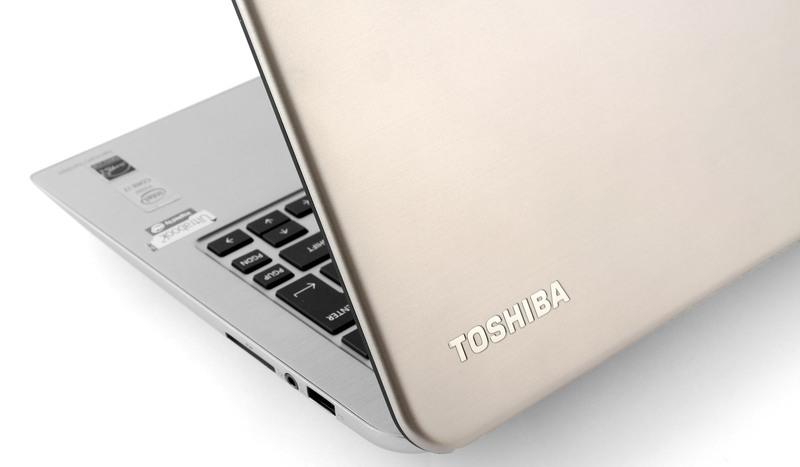 Toshiba has managed to produce a durable, rigid ultrabook at a decent price without sacrificing the looks. Some of you may find the device a bit boring, but, to be honest, it looks stylish as it is. The stripped down chassis with polycarbonate on top and magnesium frame on the inside make the KIRA lightweight (1.1 kg), minimalistic and reliable. To be honest, there’s nothing we didn’t like so the design and build quality are more than acceptable at this price range. Toshiba KIRA’s display has WQHD panel with the latests IGZO technology integrated. If you don’t know what’s that, you can check out this short briefing on the matter here. Moving along with the diagonal of 13.3 inches packing 2560 x 1440 pixels meaning the aspect ratio is 16:9 with a density of 221 PPI (pixels per inch) and space between each pixel 0 115 x 01515 mm. The display becomes “Retina” when viewed from a distance equal or greater than 41 cm. Here’s how the image quality changes when the screen is viewed from a 45-degree angle. Somehow, viewing angles are not good. The quality of the image gets distorted – something typical to the TN panels. 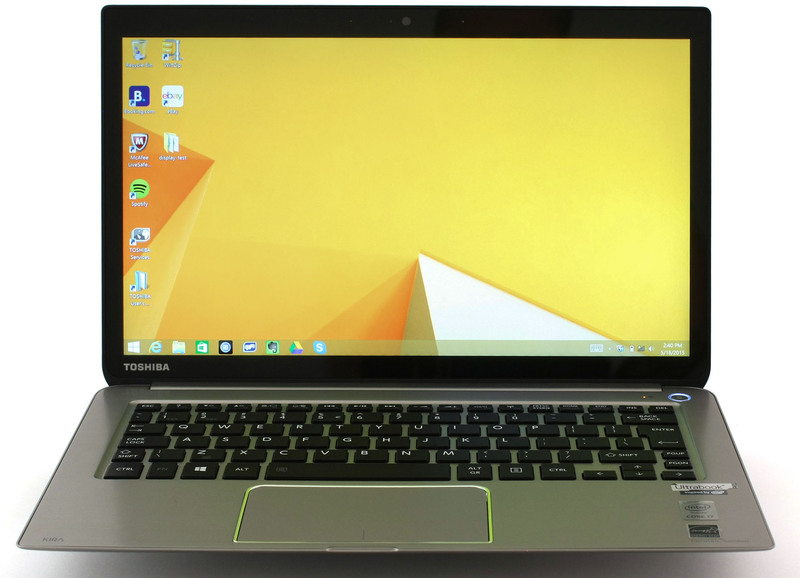 Toshiba’s notebook comes with pre-installed Windows with several additional programs and applications. One of them lets you calibrate the color of your display and it’s called “Chroma Tune”. Chroma Tune offers four different presets depending on your type of usage – “Technicolor”, “Cool”, “Warm”, “Rec. 709”, and an additional one called “Native”. For testing purposes, we changed the last one with an external calibrator “i1DisplayPro”. For our first readings, we used “Technicolor” profile and the maximum brightness is 242 cd/m2 with a deviation of just 9%. The color temperature is 6512K aligning with the optimal one of 6500K (D65). 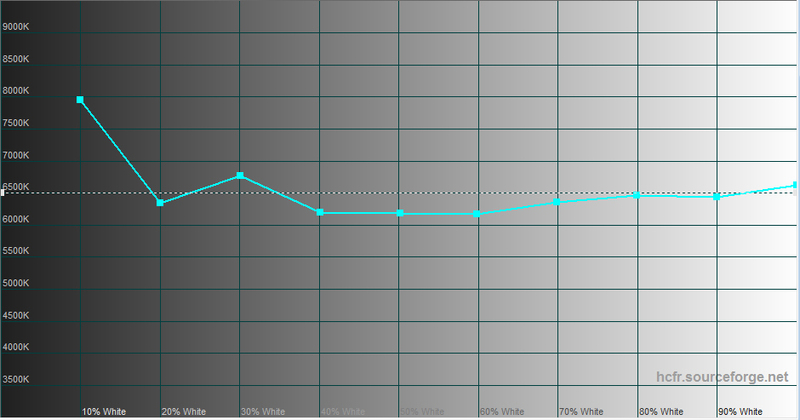 Our tests show that the upper left corner has a slight deviation when it comes to color temperature. 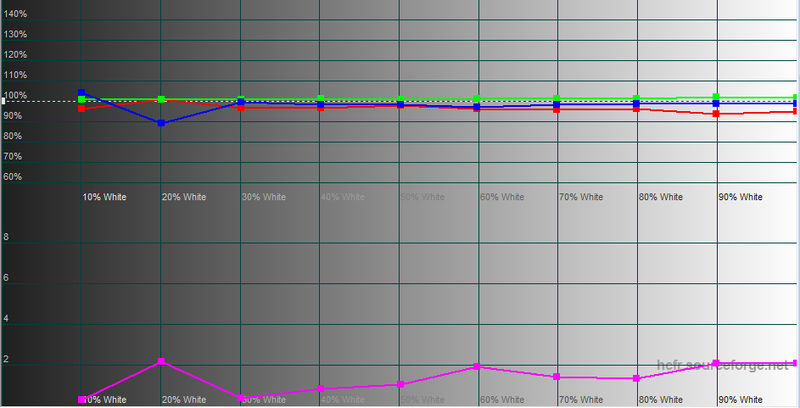 From the image below you can see the coverage of the sRGB color gamut (colors from this gamut are web-based colors and are used in HDTV). Inside you can see the color accuracy which we were able to measure with the open-source HCFR software. Circles below illustrate the reproduced colors while the squares represent the target color. You can see not only the main colors but also the additional ones with saturation percentage for each one. We used 24 different target colors which are believed to be the most commonly used (brown squares). It is good to know how the display is able to reproduce them as they will be essential for watching a movie for example. The accurate colors are displayed with white squares next to them and it seems that the default profile has a high color accuracy. The chromaticity diagram shows that the color gamut coverage is an important aspect of the display, but it’s also important that each color is reproduced accurately. The deviation for each color is displayed on the DeltaE 2000 table below. 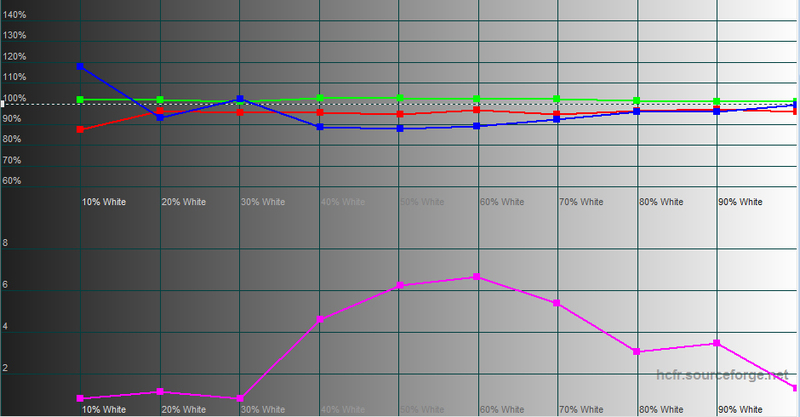 Below you will see the data collected from the default profile (left) as well as from the generated profile (right). Target color temperature – 6500K. 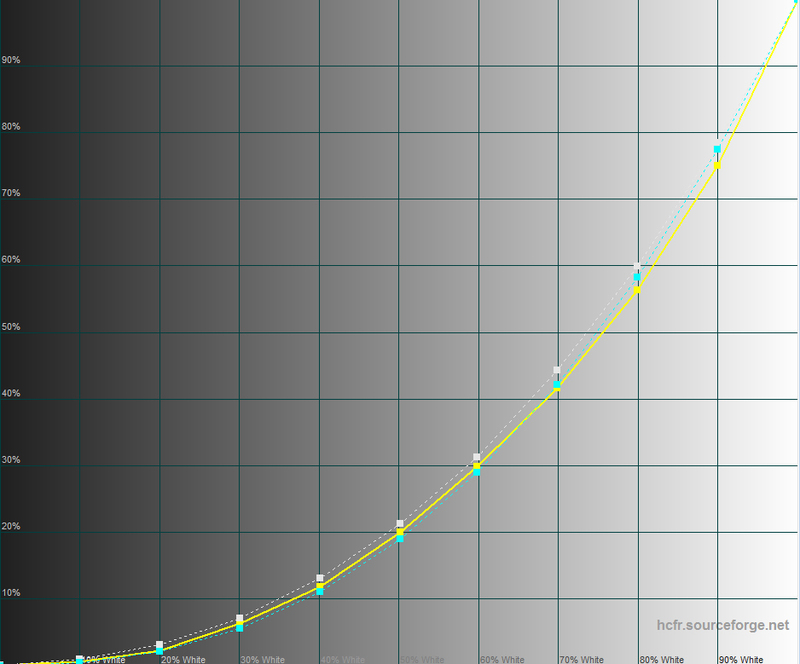 Tone response curve (gamma) for each shade of gray. 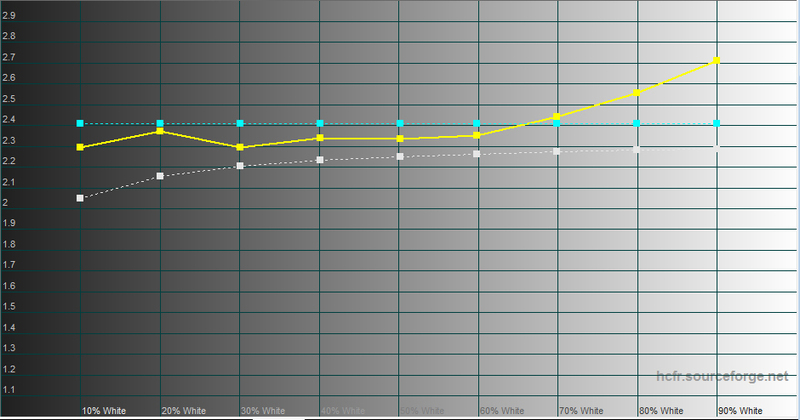 The yellow line represents the measured gamma and the white one is the target gamma. 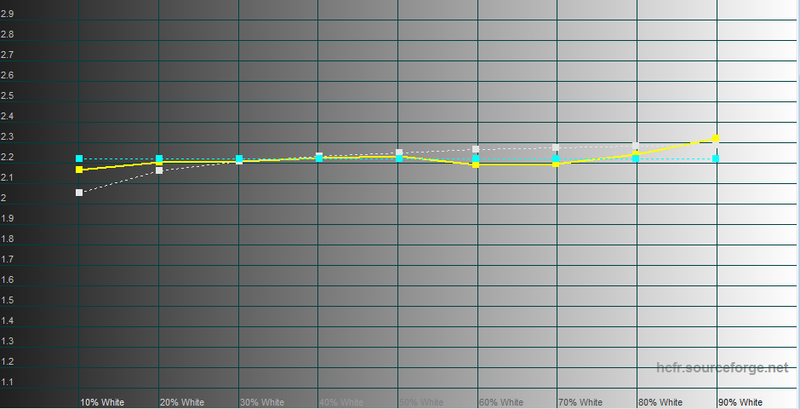 This graph is the main color calibration tool. It relies on the gray scale’s measurements, and displays, for each gray level, a relative level of each component in percentage. When every value is at 100%, it means the gray’s color is the same as the D65’s point on the CIE diagram, thus the color calibration is perfect. Each profile used above ensures great image quality with accurate colors. You can even improve the display’s properties further with a hardware calibrator which we did below. We adjusted the display’s brightness at 130 cd/m2 and the contrast is more than excellent – 1840:1. 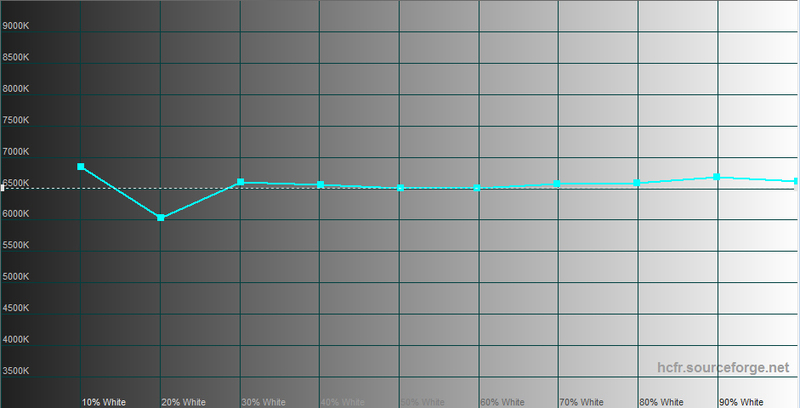 Second reading of the average DeltaE 2000 shows 0.79 from the 24 colors we mention earlier. You can easily use the display for professional photo and video editing. KIRA’s display emits pulsating light no matter the brightness level excluding 100%. The frequency is just 215 Hz (higher frequency is preferable). Users with more sensitive eyes will work comfortably only if the display’s brightness is set to 100%. We recorded the refresh time of the pixels from black to white and white to black for 10 to 90%. So we were able to measure Fall Time + Rise Time = 21 ms, which is more than three times the response time a TN panel would reach. But the TN panel cannot be compared to an IPS panel in terms of image quality. While the panel has some excellent properties like extremely accurate color reproduction, high contrast ratio, high pixel density, it also carries some negatives which are not neglectable. For example, the presence of PWM across all brightness levels can be considered harmful to people with sensitive eyes. The Toshiba KIRA comes with built-in Harman Kardon loudspeakers and DTS Studio Sound calibration so our high expectations are met. The sound quality can be compared to some external sound systems – the sound is clear, crisp and full. At +/-6 dB, the loudspeakers were able to cover the sound frequency between 80 Hz and 19 kHz. This is rarely seen in notebooks. Despite the pixel-packed 13.3-inch display, we expect some good battery performance due to the integrated energy efficient IGZO technology as well as low-voltage Core i7-5500U processor. The notebook carries inside a 52Wh, 4-cell battery that’s running the show. All tests were performed under the same conditions – Wi-Fi turned on, Bluetooth is off, power saver is on and screen brightness is set to 120 cd/m2. Pretty good result for a pixel-packed screen like this – 400 minutes (6 hours and 40 minutes). Slightly lower result, but still good – 367 minutes (6 hours and 07 minutes). We are quite puzzled how Toshiba’s notebooks that aren’t even for gaming can sustain for such long periods – 311 (5 hours and 11 minutes). Fritz is a chess benchmark which tests the computing capabilities of the CPU with various chess moves. 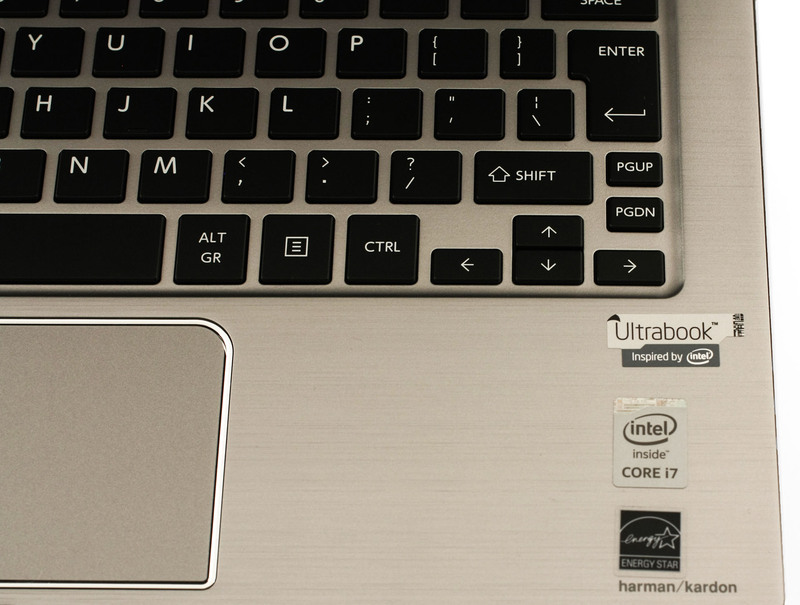 The Intel Core i7-5500U managed to get 5.355 million moves per second. For comparison, one of the most powerful PCs, Deep(er) Blue, was able to squeeze out 200 million moves per second. In 1997 Deep(er) Blue even beat the famous Garry Kasparov with 3.5 to 2.5. The HD Graphics 5500 has 24 shader cores, known as ‘unified units’, 4 texture cores and 1 raster core. They support DirectX 11.1, Pixel Shader 5.0, OpenCL 1.2, OpenGL 4.0 and Quick Sync encoding. The base frequency is 300MHz, and TurboBoost can increase that up to 950MHz depending on the processor. Every notebook that we review undergoes two simple stress tests. The first one consists of 100% CPU stress test. Under normal conditions, the CPU runs at around 50°C, but after we ran the usual stress test, temperatures went up to 80-81°C. The heat isn’t dangerous to the SoC or the internals as the maximum operating temperature of the CPU is 105°C. Also, we didn’t notice any throttling. In fact, the CPU ran at 2.5-2.8GHz when the normal opearing frequency is 2.4GHz for two active cores. This can be considered as a good result and you can see the graph further backing this statement below. 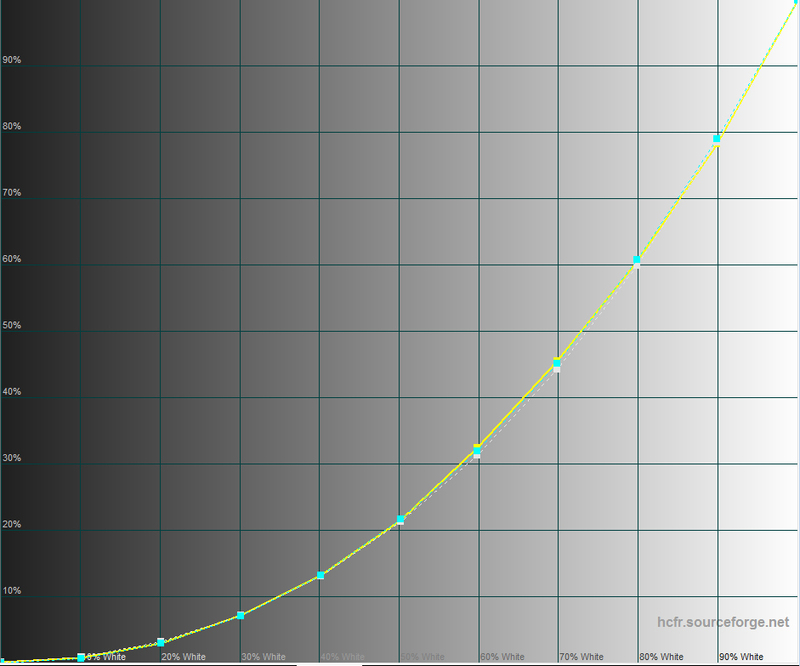 The red line represents temperatures and the green one is CPU load. Nonetheless, the good results from this test come at a price – the CPU fan is insanely loud, just the thing we saw in the Toshiba Portege Z30. After an hour or so, we ran the GPU stress test that didn’t rise the temperatures much, but the operating frequency dropped a lot. This is understandable due to the fact that the GPU needs more recourses, thus more heat will be produced. So lowering the frequency of the CPU will ensure that no overheating occurs. You can also see how the inner temperatures affect user experience on the heat map below. Everything is handled well without any excessive heat over the keyboard or where palms rest. 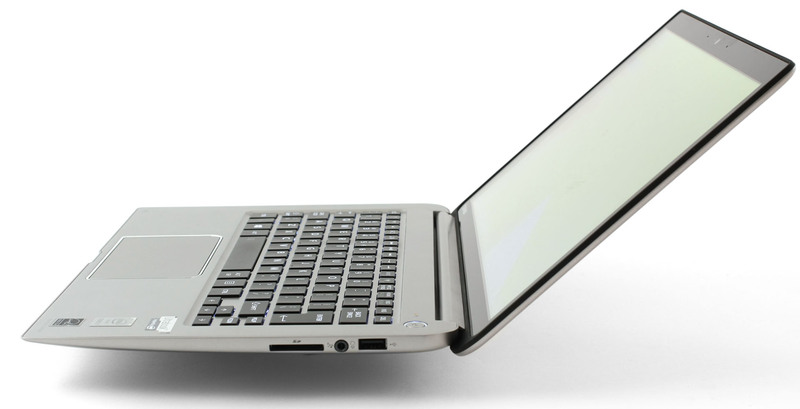 Given the price range of the notebook, it holds several advantages over its competitors. Firstly, the notebook has excellent build quality, durability and it’s lightweight (1.1 kg). The design from subjective perspective is minimalistic, strict and appealing, but some of you might find it boring. However, the most notable feature of the model is the honeycomb-shaped inner chassis that makes it sturdier and it really does the trick. Secondly, the interior is almost spotless – good keyboard (keys are a bit on the stiff side) with big enough keys. The touchpad is responsive and easy to use while the surrounding surface is pleasant to touch giving enough comfort without getting affected by higher temperatures during long hours of work. Another thing we would like to talk about is the display. While it has high resolution, accurate color reproduction, high contrast and high color gamut coverage, it carries some disappointing properties. We are referring to the so-called screen flickering across all brightness levels, somehow poor viewing angles (strangely, the notebook has IGZO IPS panel that should deliver great viewing angles) and the maximum brightness might not deliver the desirable viewing experience in brighter room. Despite all that, Toshiba has included an additional Chroma Tune software that will adjust the screen to your liking or type of work. Each preset offers good calibration for you to take advantage of. And finally, battery life. Somehow, we expected a bit better battery performance, at least what we saw from the ads, but our results showed that working hours given by Toshiba are over the top. Nonetheless, the battery did good and will most likely get you through one day with a single charge depending on your usage.